The winter holidays are a great time of year. While some may have read the title, “Surviving the Holidays,” and thought this article would focus on entertaining the in-laws, it doesn’t. No, we’re referring to keeping your family safe. Sadly, the holiday season is also one of the more dangerous and deadly times of year. This article shares how to keep your family safe this holiday season. The simultaneous existence of these three causes of house fires makes the holiday season the highest risk time of year for being at home. The following are simple steps you can take that makes surviving the holidays easy and fun. Thanksgiving is a great way to start the holidays. The weather hasn’t yet gotten too cold. The opportunity to enjoy food, family and friends without the stress of shopping for gifts is fantastic. For most people, the four day weekend is a great way to kickoff the holiday season. Thanksgiving marks the starting point for our guide to surviving the holidays. Known for lavish meals, it’s important to remember that cooking is the number one reason for home fires. Some families even deep fry their turkey. If that’s you, extra care is even more important. The basics: Before having guests over, make sure the batteries are fresh and all smoke detectors are in working order. Be Prepared: While shopping for the thanksgiving dinner turkey, pick up a fire extinguisher made for the purpose of putting out kitchen fires. Keep the extinguisher handy in the area where you cook. Cooking: At Thanksgiving, and throughout the year, never leave cooking unattended. Also, don’t leave anything that can catch fire such as oven mitts, wooden utensils, food bags or packaging and towels near your stove top. In our home the tradition of decorating for the holidays is looked forward with great anticipation throughout the year. The boxes of lights, decorations and candles all come out of their basement storage the day after Thanksgiving. Through the course of the holiday weekend the house is transformed into a festival of lights and holiday music. Electrical cords: Inspect all lights and extension cords to make sure they are in good, working condition. Do not use any cords that are frayed or have exposed wires. Follow the manufacturers recommendations on how to use. The Christmas Tree: The type of tree, location and the decorations are an important part of surviving the holidays. It’s best to get a flame retardant, artificial trees. If your preference is for a real tree, make sure it is fresh and keep the tree base in water to prevent it from drying out and increasing the risk of catching fire. Never decorate a tree with candles. Place the tree in a sturdy stand at least three feet away from heat sources such as a fireplace, radiant heating, heat vents, burning candles, etc. Guests: When guests leave, be sure to walk the home and make sure there are no smoking materials or candles burning in other areas of the home. Leaving the home: Before going to bed or leaving the house, always make sure candles are put out and lights are turned off. Heating Systems: For whole home heating systems, be sure to get them serviced annually. For area heaters such as wood stoves or pellet burners, but sure to clean regularly and get the flue cleaned at least once per year. For electrical space heaters, check the cords to ensure they are in good condition. Always make sure heaters are not touching – or in close proximity – to linens, bedding or anything flammable. At ValChoice we believe that anyone required to buy a product or service deserves to know the quality of the service they must buy. Transparency has never before been available for insurance. Technology drives the change that makes transparency possible. As a technology company, we have adopted a mission to use state-of-the-art tools to provide the much needed insurance transparency to consumers. The ValChoice analytics engine grades companies on value, claims handling and service. Get a rating on your company so you know how well they measure up against the competition. Click the button below to get a report card that compares your insurance company with every other insurance company. With this free rating, you’ll know if it’s time to switch insurance companies. Importantly, we don’t get paid when you buy insurance. That means we won’t encourage you to change companies unless we believe changing is in your best interest. Our recommendation with your home insurance report card are as follows. If the report is a good one, tell a friend. If the report is bad, change companies. The quality of the insurance people get is completely within the control of consumers. If consumers buy from companies that provide a low quality product, the product quality provided by the industry will never improve. If consumers switch to companies that provide a better quality product, all companies will improve in order to be competitive. For an analogy, remember in the 1980’s when U.S. car manufacturers provided poor quality cars. Japanese imports satisfied the need for quality and rapidly gained marketshare. Facing rapid losses of marketshare, U.S. companies changed their ways. They quickly solved quality problems and became more competitive. We can expect the same in the insurance industry. Best of all, finding out which companies are good is now easy with ValChoice. Even better, changing companies could save you money. Note: ValChoice does not receive any form of compensation from insurance companies for rating them in our auto and home insurance reports. Our analysis is independent and unbiased. 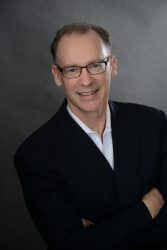 Dan has been a CEO or Vice President for high-technology companies for over 20 years. While working as a Senior Vice President of Marketing and Sales for a technology company, Dan was seriously injured while commuting to work. After dealing with trying to get insurance companies to pay his significant medical bills, or to settle a claim so Dan could pay the medical bills, he became intimately aware of the complexity of insurance claims. Dan founded ValChoice to pay forward his experience by bringing consumers, insurance agents and financial advisors easy-to-understand analysis needed to know which insurance companies provide the best price, protection -- claims handling -- and service. 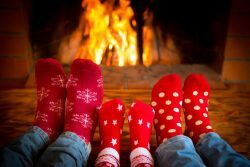 Chimney Cleaning: Are You Ready For Santa And Old Man Winter? How good is your car insurance? How reliable is your homeowners insurance company?